At the heart of every modern Mac and Linux computer is the “terminal.” The terminal evolved from the text-based computer terminals of the 1960s and ’70s, which themselves replaced punch cards as the main way to interact with a computer. It’s also known as the command shell, or simply “shell.” Windows has one, too, but it’s called the “command prompt” and is descended from the MS-DOS of the 1980s. Mac, Linux and Windows computers today are mainly controlled through user-friendly feature-rich graphical user interfaces (GUIs), with menus, scroll bars and drag-and-drop interfaces. 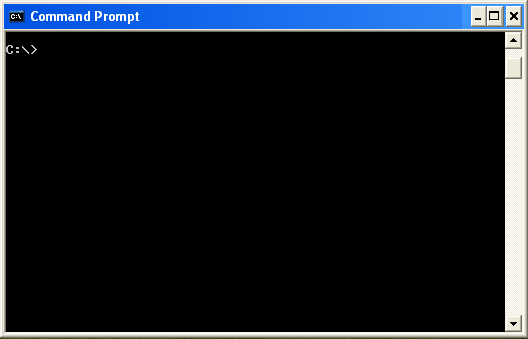 But all of the basic stuff can still be accomplished by typing text commands into the terminal or command prompt. Using Finder or Explorer to open a folder is akin to the cd command (for “change directory”). Viewing the contents of a folder is like ls (short for “list,” or dir in Microsoft’s command prompt). And there are hundreds more for moving files, editing files, launching applications, manipulating images, backing up and restoring stuff, and much more. So, why would anyone want to bother with these text commands when you can use the mouse instead? The main reason is that they are very useful for controlling remote computers on which a GUI is not available, particularly Web servers, and especially Linux Web servers that have been stripped of all unnecessary graphical software. As a website developer or server administrator, you would gain a big asset in becoming comfortable with these commands: for website emergencies, to configure a server and for your CV. It can also save you money. Many hosting companies offer fully managed servers but at a high monthly premium. Or else they charge by the hour for technical support. Perhaps you need to archive some big files or make a change to the httpd.conf file or figure out why your website’s images have suddenly stopped loading. You might not want to pay $50 to your server’s administrator for a five-minute job. This article gives you the tools to make such changes yourself. And why “Linux” commands? Two main types of servers are available today: Windows and UNIX. UNIX-based servers include Linux (which split off in 1991), Mac OS X (2002) and several more traditional UNIX systems, such as BSD, Solaris and HP-UX. Linux commands are basically UNIX commands and so will run on all of them. In fact, I use the term “Linux” here only because it is more common and less frightening than “UNIX.” Windows servers, on the other hand, have a much smaller market share and are more often controlled through GUIs, such as Remote Desktop and VNC, rather than the command line. In fact, a November 2011 survey showed that Apache accounted for about 65% of all Web servers. Apache usually runs in the popular LAMP configuration: Linux, Apache, MySQL and PHP. Microsoft was a distant second, with 15%. Third place nginx runs on Linux, UNIX, Mac and Windows. So, the commands in this article will work on at least two thirds of all servers. You can quickly experiment with text commands on your own computer. On Mac with OS X, go to Applications → Utilities, and run Terminal. On a PC with Windows, go to Start → All Programs → Accessories, and choose “Command Prompt.” On Ubuntu Linux, go to Applications → Accessories, and choose Terminal. This is the command line (i.e. shell, prompt or terminal) on your own computer. You can type dir on Windows or ls on Linux or Mac followed by “Enter” to see a list of the files in the current “directory” (i.e. folder, location or path). All we will be doing for the rest of this article is opening up one of these terminals on a remote computer: your Web server. You may have used VNC or Remote Desktop, which allow you to actually view the desktop on someone else’s computer: your screen shows their screen, your mouse controls their mouse, your keyboard mimics their keyboard. The terminal is similar to this but without the fancy menus or scroll bars. If you were to plug a keyboard and screen into your Web server, sitting in a fireproof basement somewhere, you would probably see one of these terminals, waiting patiently for your user name and password. The application SSH, or Secure Shell, is used to log into Web servers. 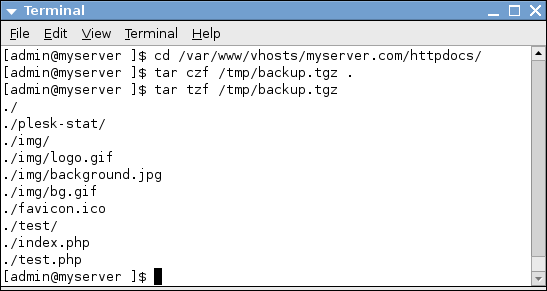 It often takes the same user name and password as FTP, but it has to be allowed by your host. If you have a dedicated Web server, it is probably already allowed. If you use cloud hosting, then you might need to request it first. If you are on shared hosting, you’ll definitely need to request it, and the administrator may refuse. On Windows, you will need to download some SSH software. Putty is a popular and easy choice. It downloads as a single EXE file, which you can save to your desktop and run right away. Type your website as the host name, check the SSH box under “Connection Type,” and click “Open.” It will ask for your user name and then your password. A successful SSH log-in to a Web server. The $ means we can start typing commands. The next section introduces a few basic commands. If you SSH’ed to a server as the user “admin,” you would land in admin’s home directory, probably /home/admin. You can verify this by typing the command pwd, which shows your current location (i.e. folder, directory or path). The pwd command tells you where you are, cd changes the directory and ls shows the contents of a directory. This will change the directory to /, the top of the whole UNIX directory structure. The command ls lists the contents of the current directory, in this case /. In the screenshot above, the terminal is color-coded. Dark-blue entries are subdirectories, and black entries are files. A lot of the interesting stuff on Web servers happens in the /etc, /home and /var directories. Using just cd and ls, you can explore your server and find out where stuff is. When using cd, you can specify the new directory absolutely (beginning with a slash, like /var/www) or relative to your current location (without the initial slash). You can also go up a directory with two dots. Practice with the sequence below, pressing “Enter” after each command. Can you guess what the last command will tell you? If you see a list of websites, you can move into one of them. Within the website’s main directory, you will probably see the same files that you see when you FTP to the website, things such as httpdocs (where your website’s files are), httpsdocs (if you have a separate secure website), conf (configuration files), statistics (logs and compiled statistics), error_docs, private and more. If your index.html file is more than a few lines long, it will rush past in a blur. You can use the more command to show it slowly, one page at time. After you type the command below, it will show you the first page. You can press the space bar to show the next page, “Enter” to show the next line, and Q to quit. Similarly, the cp is the copy command, and rm removes files. Below is a string of commands in action. In order, it confirms the current directory with pwd, looks at the contents with ls, views index.html with cat, then renames it with mv, and finally removes it with rm, with a lot of ls in between to show the changes. The cat, mv and rm commands in action, for displaying, moving and then removing a file. 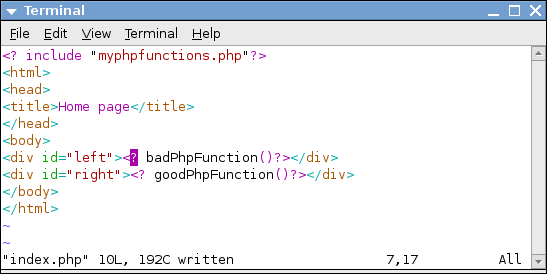 Note that in our initial examples, the full prompt included the current directory. For instance, in [admin@myserver /]$, the / indicated that the user was in the / directory. In the example directly above, it was removed, or else it would have crowded the screenshot by constantly saying [admin@myserver /var/www/vhosts/myserver.com/httpdocs]$. On big websites, files can get lost. Perhaps you vaguely remember uploading a new version of your client’s logo about four months ago, but it has since fallen out of favor and been replaced. Now, out of the blue, the client wants it back. You could download everything from the server using FTP and search the files using Finder or Explorer. Or you could log in and search using the command line. The pipe symbol (|) takes the output of one command (in this case, the long list of files produced by find) and passes it to another command (in this case, more, which shows you one page of files at a time). As above, press the space bar to show the next page, and Q to quit. find /var/www -name *.gif -size +5k -size -10k -ctime +90 -ctime -180 -printf "%10s  %c  %pn"
Searching for all GIFs within a single website, and displaying the file sizes, changed times and file names. find /var/www -cmin -10 -printf "%c %pn"
find /var/www -cmin -10 -type f -printf "%c %pn"
While reading a manual page, the controls are the same as more: space bar for paging, “Enter” to go forward one line and Q to quit. The up and down arrows also work. You can search within a page of the manual by typing / and a keyword, such as /printf. This will jump you to the next occurrence of that term. You can search backwards with ?printf, and you can repeat the search by pressing N.
Most visual code editors allow you to search through many files when you’re looking for a particular variable or bit of HTML. You can also do this directly on the server using the command grep. This is useful when something goes wrong on a complex website with hundreds of files and you have to find the error and fix it fast. This will tell you which files in the current directory contain that bit of HTML. If you want to search in subdirectories, you can use the -r option with a directory at the end, instead of a list of files. The single dot tells it to start in the current directory. grep -r "<div id="left">" . vi is a complex editor. It can do most of the amazing things that a fully featured visual editor can do, but without the mouse. In brief, you can use the arrow keys to get around the file (or H, J, K and L on very basic terminals where even the arrow keys don’t work). To delete a character, press X. To delete a whole line, press DD. To insert a new character, press I. This takes you into “insert mode,” and you can start typing. Press the Escape key when finished to go back to “command mode.” Within command mode, type :w to save (i.e. write) the file and :q to quit, or :wq to do both at the same time. The vi editor also supports copying and pasting, undoing and redoing, searching and replacing, opening multiple files and copying between them, etc. To find out how, look for a good vi tutorial (such as “Mastering the VI Editor”). Note also that on many computers, vi is just a shortcut to vim, which stands for “vi improved,” so you can follow vim tutorials, too. When changing directories and editing files, you might get tired of having to type the file names in full over and over again. The Terminal loses some of its shine this way. This can be avoided with command-line completion, performed using tabs. It works like this: start typing the name of a file or a command, and then press Tab. If there is only one possibility, Linux will fill in as much as it can. If nothing happens, it means there is more than one possibility. Press Tab again to show all of the possibilities. … Unless several files started with I. In that case, I would have had to press Tab again to see the options. Replace the user name, password and database with your values. Instead of specifying a database, you can use -A to dump all databases. If you get errors about table locking, you can add –single-transaction. Once you submit the user name and password, this will output a load of SQL in a long blur. To save the output to a file, you will need to use the > symbol. This sends the output of a command to a file. If people are looking over your shoulder while you’re doing this, you might not want to type the password directly into the command. In this case, just leave it out, and mysql or mysqldump will ask for it instead. If you use FTP regularly to upload files to websites, then you might be familiar with permissions. All files and directories on Linux (and Mac, Windows and other UNIX systems) have an owner, a group and a set of flags specifying who can read, write and execute them. A subtler and more common problem is when an image can be viewed but not overwritten or removed via the website’s content management system (CMS). In this case, the user nobody can read the file but can’t write to it. The command ls -l shows information about permissions, owners, size and date. This directory contains three files, with three subdirectories shown in green. The first letter on each line indicates the type: d for directory and - for normal file. The next nine letters are the permissions; they indicate the read, write and execute permissions for the owner, group and everyone else. After the number (which represents the size) is the owner and group for the file. These files are all owned by admin. This is followed by the file size (less useful for directories) and the date and time of the last modification. Below is another example of three files in an images subdirectory. Two of the files were uploaded by admin via FTP, and Apache was started by the user www-data. One of the files will be unviewable through a Web browser. Which do you think it is? What happens when you try to access a file without the correct permissions in a browser. However, this does leave everything rather open, making it easier for hackers to gain a foothold. Ideally, your set of permissions should be as restrictive as possible. Files should be writable by the Apache user only when needed by the CMS. This is dangerous, though, because you could easily accidentally remove things — especially if you are using the rm command, and particularly if you’re using it in recursive mode (rm -r), and most especially if you also force the changes and ignore any warnings (rm -r -f). This article has introduced some very useful Linux commands, a potential asset for any aspiring Web worker and a surefire way to impress a dinner date. For a few more commands related specifically to website crashes, check out the Smashing Magazine article “What to Do When Your Website Goes Down.” For a broader view, try this list of Linux commands. And the “Mastering the VI Editor” tutorial mentioned above explains vi well. Hopefully, you now have the tools and confidence to pitch in the next time one of your websites has a problem.